Polarworld is a small, indie publisher that specialises in creating beautiful, award-winning books about photography and exploration. We produce branded projects for publishers and private clients, limited editions for collectors, and we are writers and editors for our international partners. We organise special events and exhibitions, championing the work of very talented folks, and we act as consultants on polar and maritime history, photography and travel. 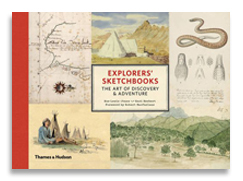 Our Explorer's Sketchbooks is now available, published by Thames & Hudson. It has been described as 'a pictorial treasure-box ... a unique imaginative experience' by Jan Morris in The Spectator. 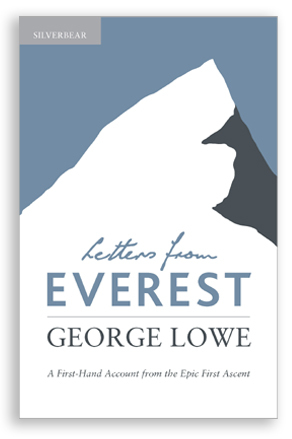 The Scotsman has said that it is ‘a truly dazzling array of journal entries by people whose travels changed the world', and Colin Thubron writes in Conde Nast Traveller: ‘The battered sketchbooks and field diaries of explorers and naturalists – inscribed with pencil or paintbrush on the spot – possess a mystique all their own ... they have become timeless'. We are very proud of it too! 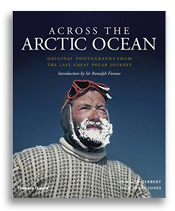 Across the Arctic Ocean: Original Photographs from the Last Great Polar Journey by Wally Herbert, co-written with Huw, is available from all good bookshops (including ours). It was 'Book of the Week' in the Sunday Telegraph and described as 'stunning... thoughtful, eloquent... a wonderful record' by the Scotsman and 'stunning and astonishing' by Sidetracked. It is a very handsome book indeed. 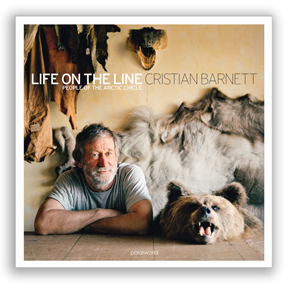 Life on the Line: People of the Arctic Circle by Cristian Barnett is still doing well. This photographic journey around the Arctic Circle was chosen as 'Book of the Week' by the Independent on Sunday. The accompanying exhibition is continuing to tour - it has been to Greenland, Ireland, Wales, and we hope for it to be in Iceland next year. Huw and Kari are touring the UK this year, speaking at several literary festivals and events, they are also lecturing and guiding on various expedition ships going to the Arctic and Antarctica. Do get in touch if you'd like to hear where we are going and who with! We are delighted to announce that Across the Arctic Ocean won a Special Jury Mention at last year's Banff Mountain Film and Book Festival. 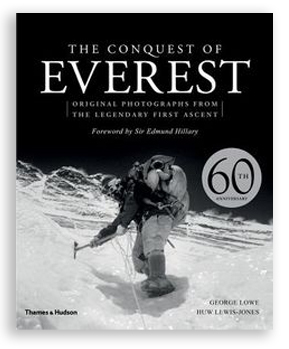 Conquest of Everest won the History Award at the Banff a few years ago and we hope to be able to return there soon. We commissioned award-winning illustrator Andy Smith to create original artworks for our book project In Search of the South Pole. The first is inspired by descriptions gathered from our contributors, an evocation of the Pole as both a real and an imagined place. The second, which shows Scott's feelings as he reached the Pole in 1912, needs little explanation. Both silk-screen prints are in centenary limited editions and available exclusively from this website. Visit our shop to find out more. Huw wrote the accompanying book for Bruce Parry's new BBC2 series Arctic. More information can be found here. He also recently appeared on-screen in the the Channel 4 documentary Hunt for the Arctic Ghost Ship, the acclaimed BBC4 film Of Ice and Men, and appeared as an expert on BBC2's Frank Wild: Unsung Hero. Kari too has appeared on television and radio in Germany and Poland. 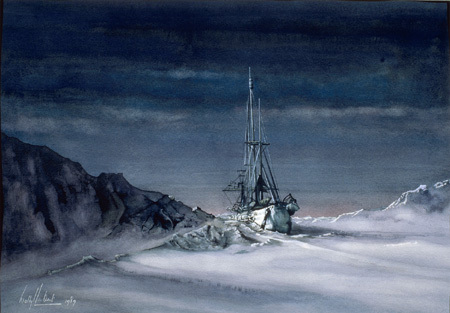 Many Polarworld titles have been sold to publishing partners all over the world. We are pleased to be currently creating books with Frederking & Thaler (Germany), Arthaud (France), Editions Paulsen (France), Crymogea (Iceland), Piper Malik (Germany), Greystone Books (Canada) and Harper Collins (New Zealand). Click here to find out more. 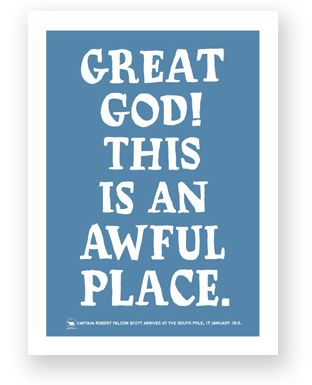 This site hosts the best of the Arctic Book Review. Click here for a selection of reviews of some of the more interesting polar titles, or click the link on the left of this page. Cristian Barnett's photographs from Life on the Line are touring. Many exhibitions of Ragnar Axelsson's photographs from our book Last Days of the Arctic are currently on tour in Europe. The Art of Exploration - a collection of prints of Sir Wally's paintings and sketches - is also available. For more information please contact us.